Today you can grab yourself a brand new, done-for-you PLR product you can resell starting today. 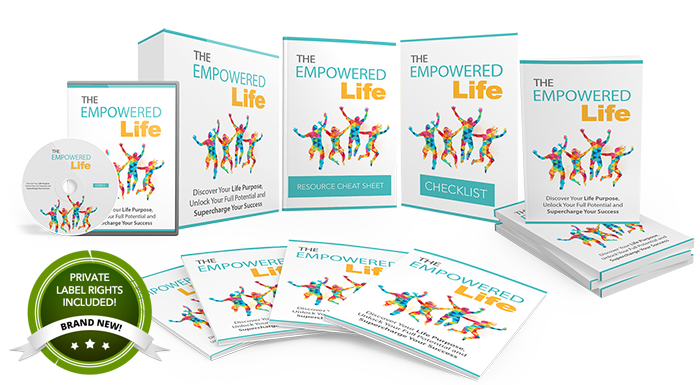 It’s called “The Empowered Life” - Discover Your Life Purpose, Unlock Your Full Potential And Supercharge Your Success! But you must HURRY! There’s currently an early-bird special discount if you grab your copy today.